The beautiful Kundan Gold Ganesha Coin is a delightful gift to give as a way of expressing your gratitude towards the receiver. Ganesha, being the Lord of success, destroyer of evils and obstacles & also the God of wisdom and wealth, holds a significant place in our culture and this is an ideal symbol to be given on special occasions. The coin has a rectangular shape with rounded edges with a prominent Ganesha design embossed on one side. 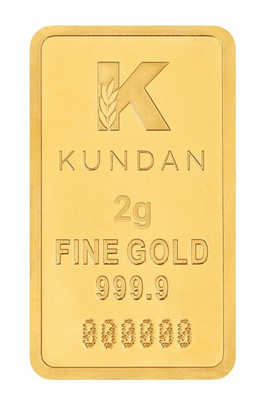 The Kundan gold minted coin arrives in tamper proof packaging which is further gift-wrapped in an elegant blue envelope.